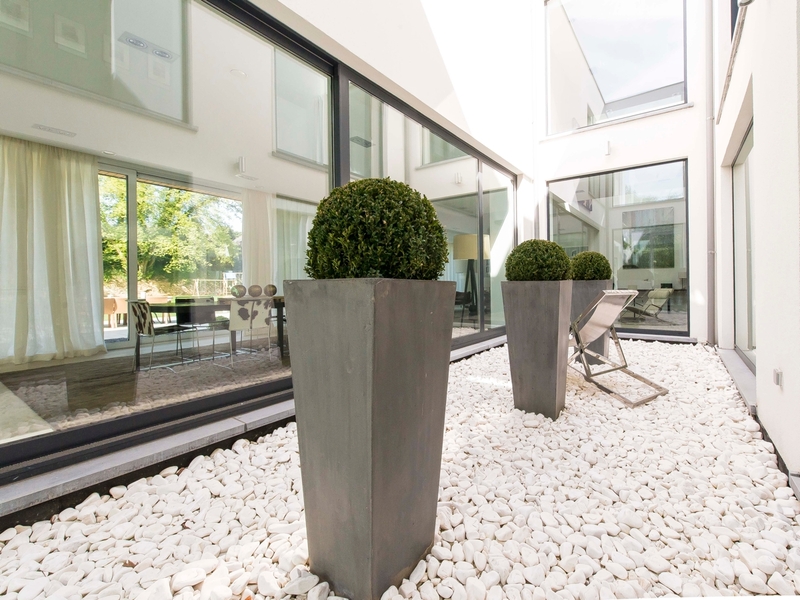 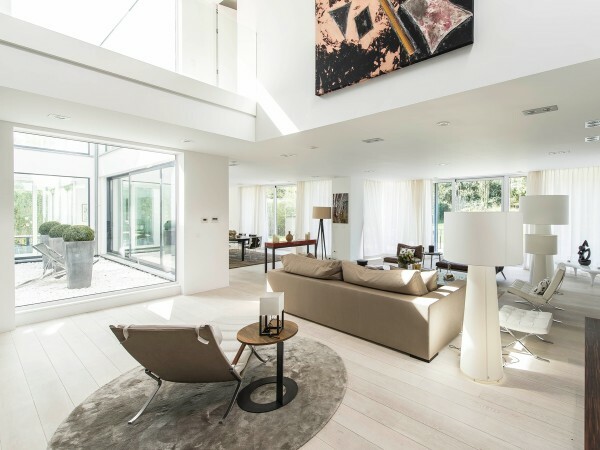 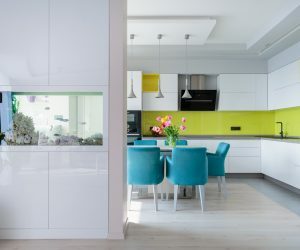 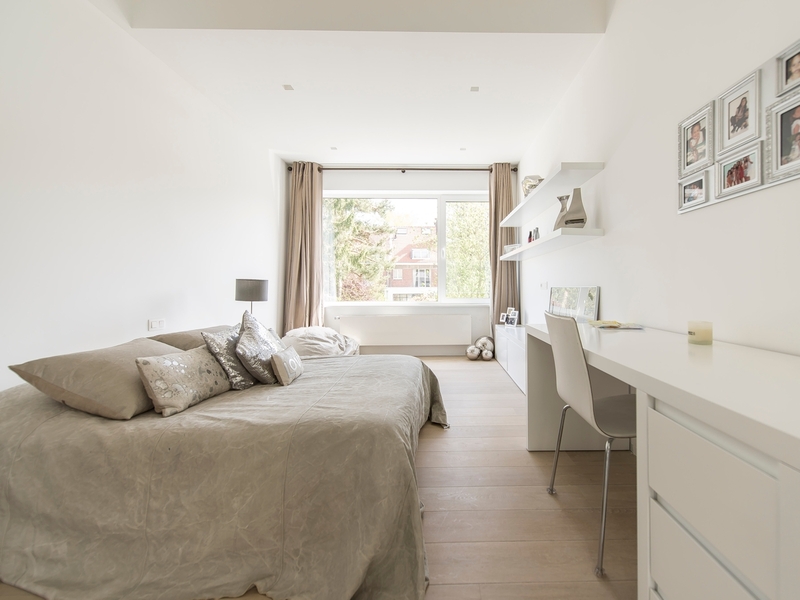 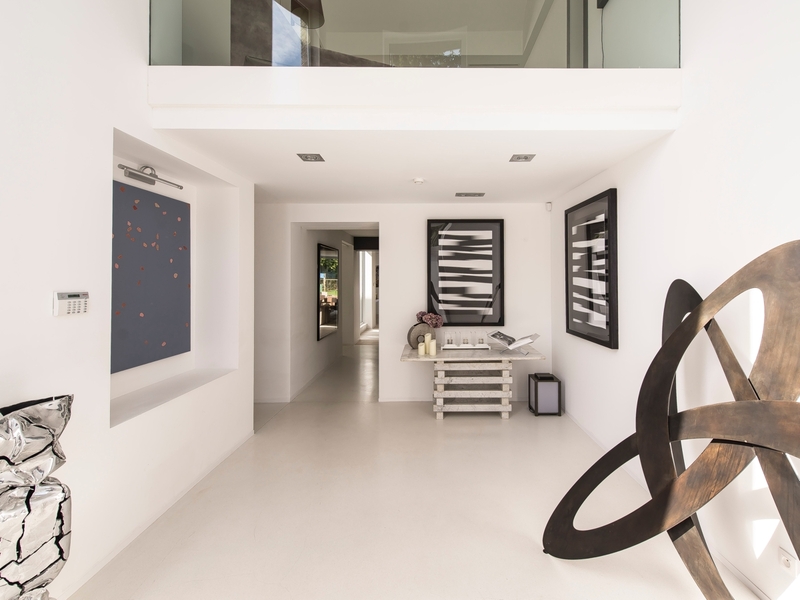 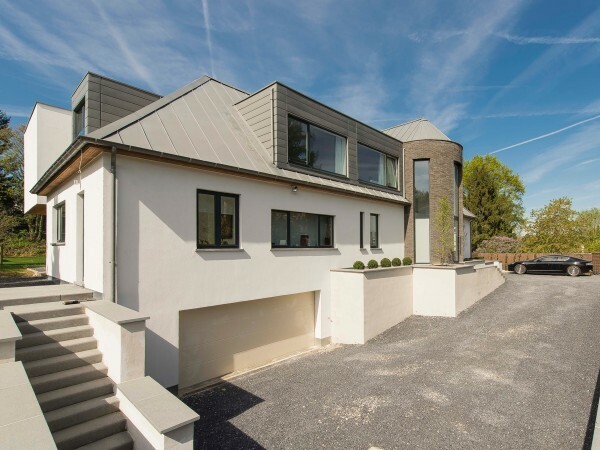 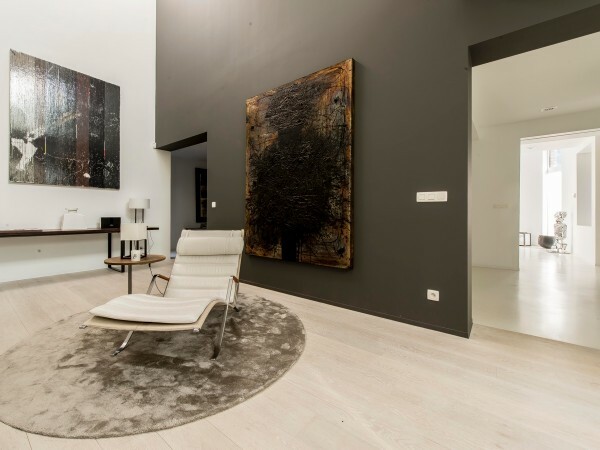 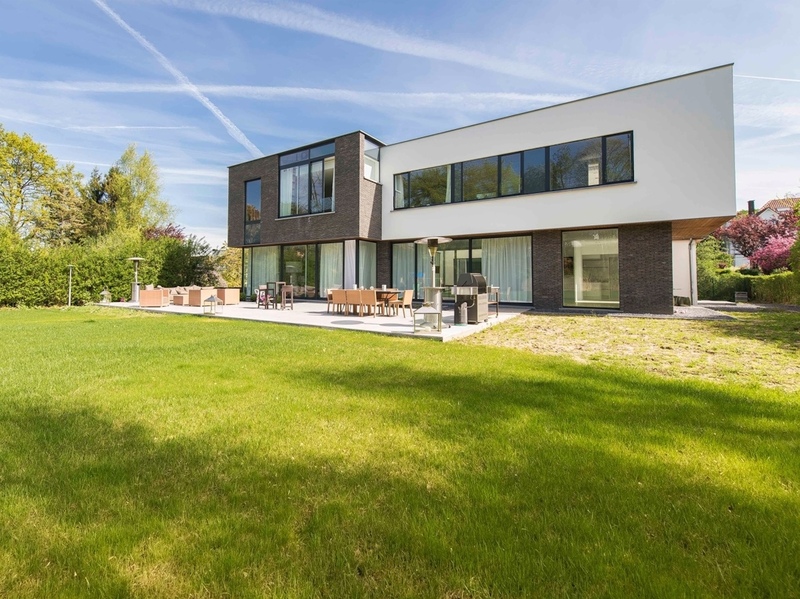 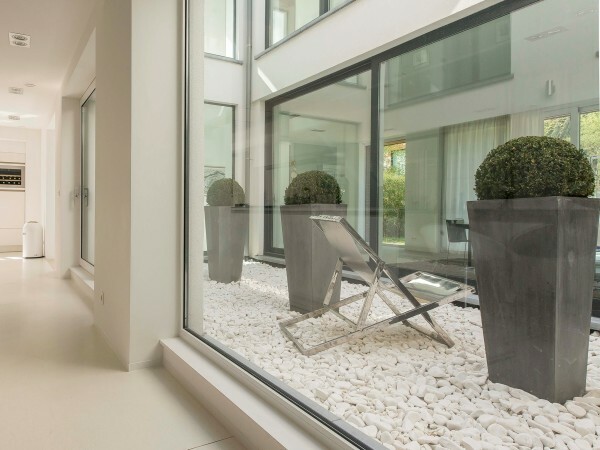 This family home, located near the Royal Observatory of Belgium in the Uccle region of Brussels, is a testament to simple, modern design that still allows for comfortable living. With six bedrooms, five baths, and a detached studio, it would be ideal for a small family. 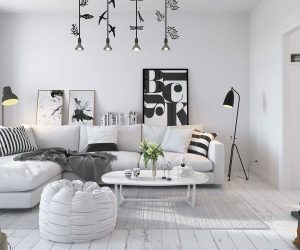 Indeed, the current decor is perfectly suited to this situation, with children's room decorated in bright pinks and a cozy, sunny living room. 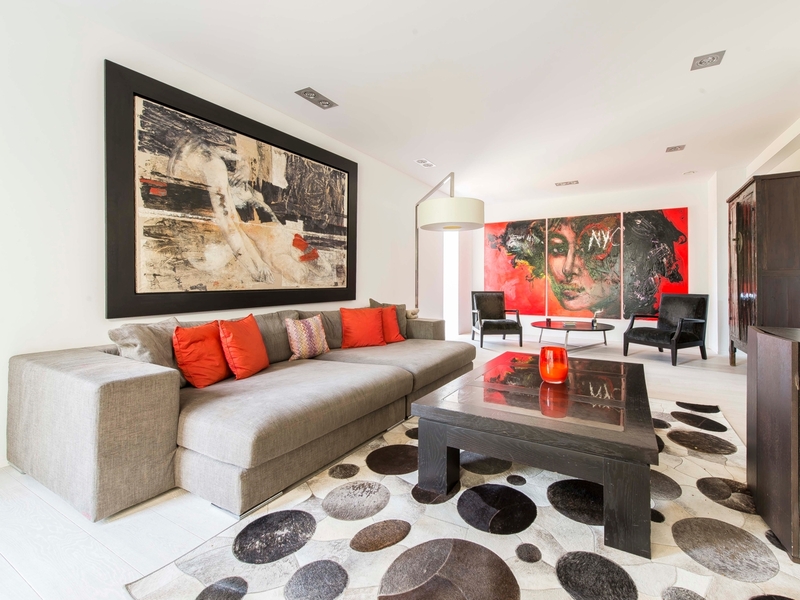 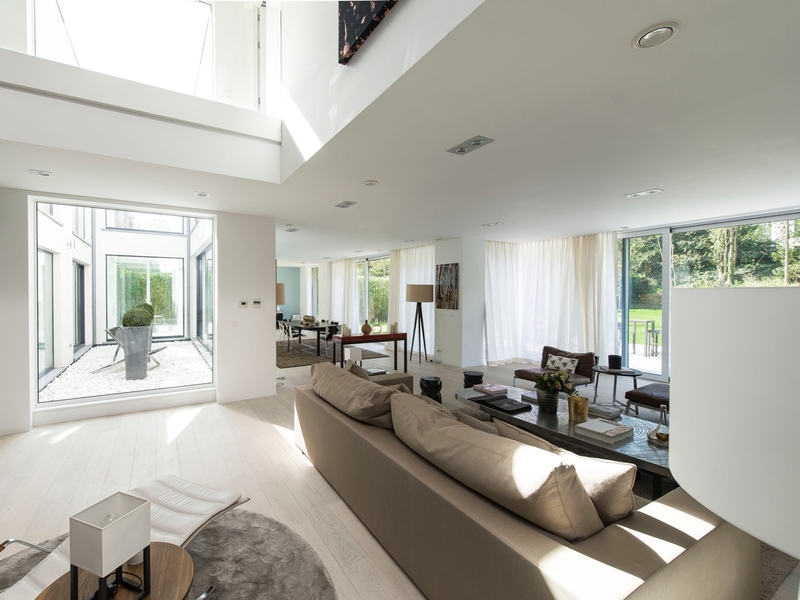 The main living area is dominated by enviable floor-to-ceiling windows that let in plenty of sunshine during the day. 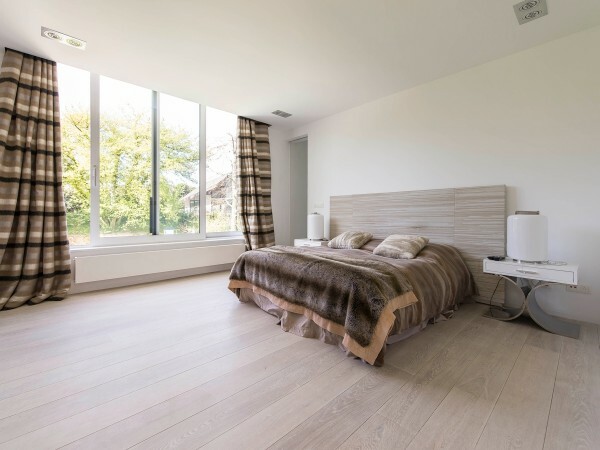 Curtains on the ground floor keep out harsh light during summer or prying eyes at tight time. 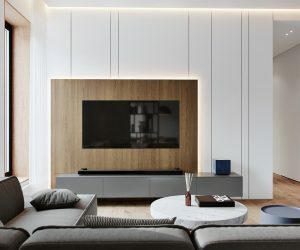 Furniture with clean lines, in cool neutrals like white and chocolatey brown fit with the long, flat lines of the modern home but at the end of the day offer a comfortable retreat without being too fussy. 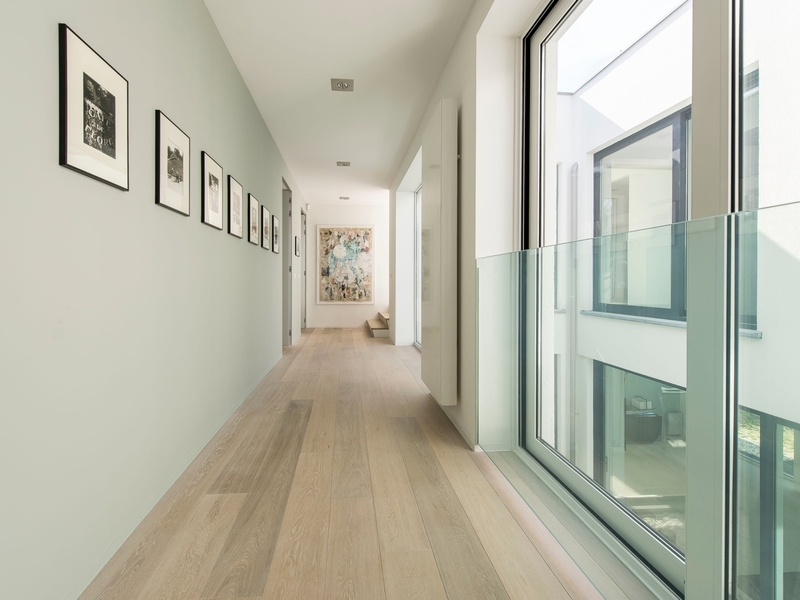 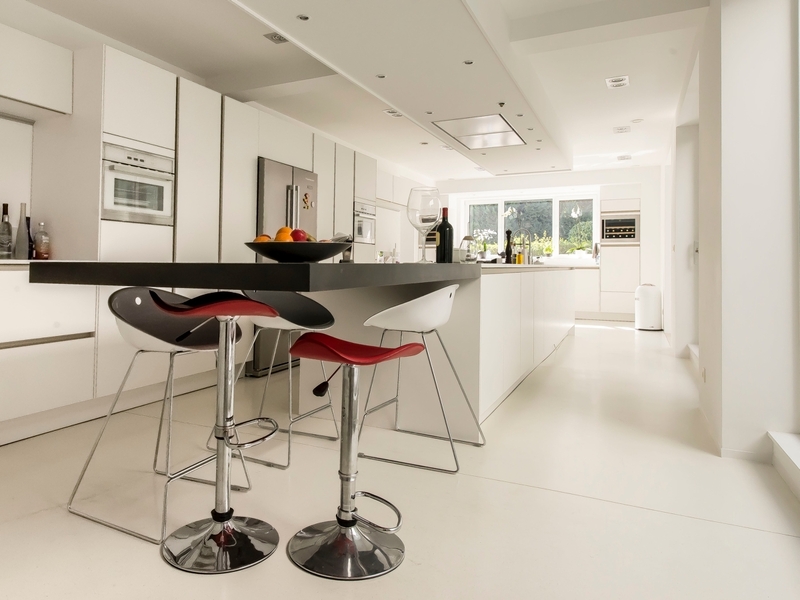 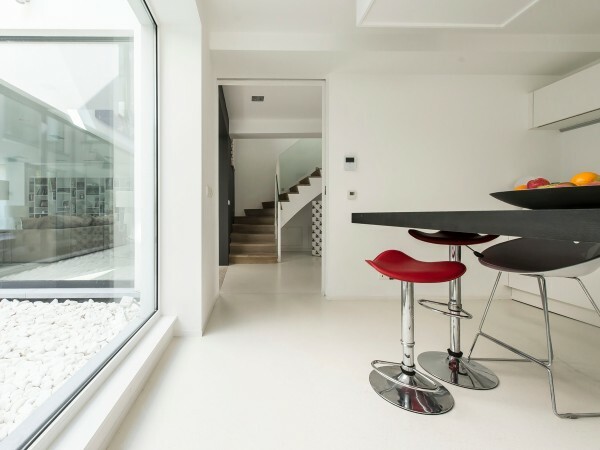 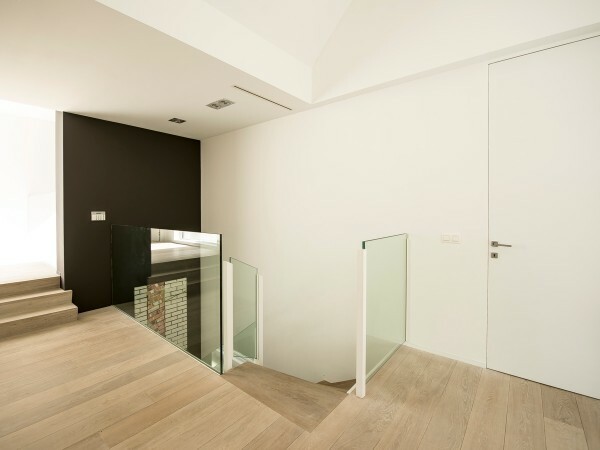 Clean white flooring, when coupled with the glut of sunlight, makes the space feel enormous from every angle. 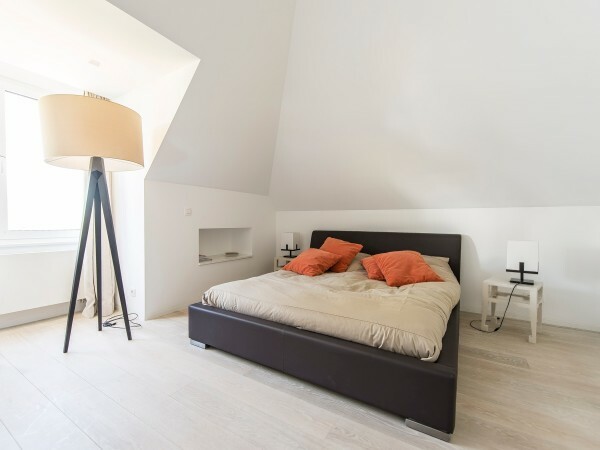 Low platform beds are an easy way to keep guest rooms simple and clean. 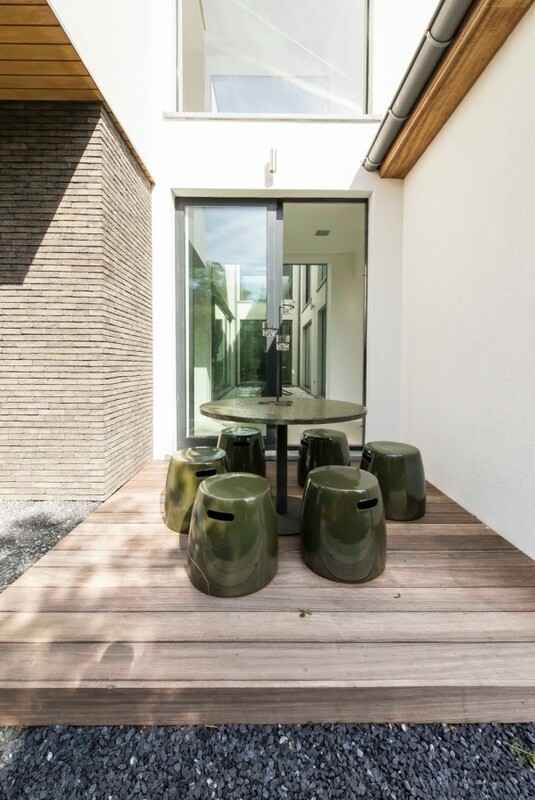 The outdoor areas are welcoming, with seating and greenery, but not overly manicured. 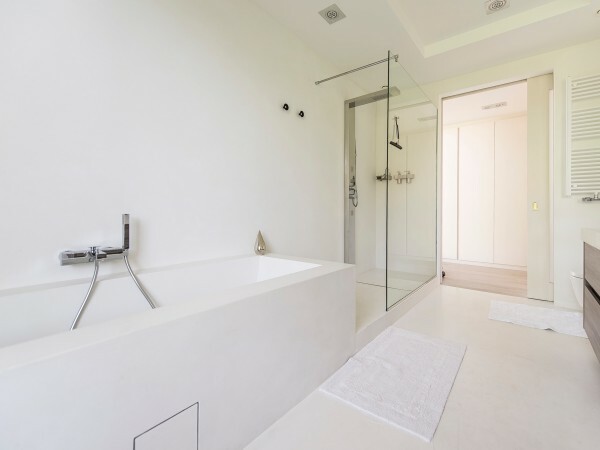 Sleek bathrooms in white tile and gray slate stay true to the home’s modern designs while still providing a relaxing atmosphere for the home’s occupants. The home’s exterior is almost unassuming with its plain white walls and long, angular roof. But the expansive patio and outdoor dining area let outsiders know this is a welcoming home for friends and loved ones.